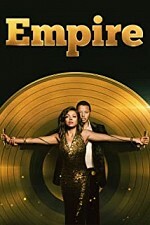 Watch Empire: Lucious, the founder and CEO of a successful record label has been diagnosed with ALS. He must choose one of his three sons to take over the company when he dies. Meanwhile, his ex wife and co-founder, Cookie, has been released from prison and wants to reclaim her rightful place in the company. Episode 10 - Et Tu, Brute?